Biijah Records and Badgers Records have joined forces to bring insight into your Inner Android with this perplexing collection of the finest hi-tech sounds from around the world. 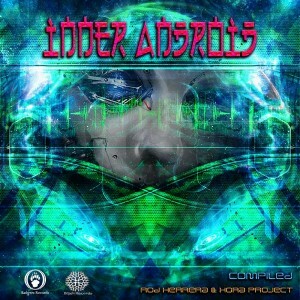 The power of this music is a call to awaken and overcome your inner android and keep evolving! Compiled by Rod Herrera and Hora Project. Mastering and design at Pupsidelic Studio. MP3 Download | FLAC Download | WAV Download · Download count: 12,166. Great release. I haven’t heard a Tyamat track I didn’t like and this one is another killer. Same goes for the Automata Theory track. Congratulations to all artists involved and a big thanx to compilers who discovered those killer tracks! I don’t fancy hitech much but i really enjoyed this one!! Thanx to all you ‘Badgers’ for your support!! sto zaxouinia!! !ahouitina popka .namaste dudes!! !